Each year millions of birds fly south to Myanmar from their breeding grounds in the Northern Hemisphere to escape the cold winter weather of Sept - April. They stop to rest and feed in Asia. They then return to breed during the short summer of May - Aug. This process is called migration and the routes the birds travel along are called flyways. The East - Asia Australasian flyway is one of several flyway in the world. This East - Asia Australasian flyway contains a network of wetlands where birds visit and feed. Moyingi wildlife sanctuary, Myanmar is one of the wetlands which is co-operating in the management to contain migrated as well as Myanmar local birds. Myanmar has, many endemic birds, endangered birds and other specialty birds, For the diversity of birdlife and for the adventure of birding unspoiled and little visited places in Myanmar, there are trips for Bird Watching. 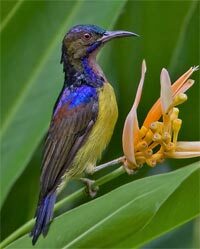 There are over 350 species of Birds in Myanmar and more of the migratory birds. There are one day trips for Bird Watching organized by your tour operator or you can also spend some more time for this event. Hlawga Wildlife Park and Moeyingyi Wetland Bird Sanctuary can offer you a day trip bird watching from Yangon. 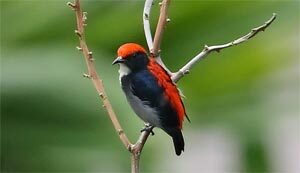 Hlawga is known to have over 160 bird species and Moeyingyi to have over 120 species. Moyingyi is (69) miles in distance, 2 hours drive from Yangon, the capital of Myanmar and it is one of the very few ideal sites for nature study especially bird watching. Amidst the tranquil environ, one can observe the nature of about 40 species of elusive Myanmar resident as well as migratory water birds in addition to the esthetic appeal of its watery place. Normally, migration period in Myanmar is from November to March annually. For longer trips, Nat Ma Taung or Mount Vitoria National Park, Hponkan Razi Wildlife Sanctuary, Inle Wetland Bird Sanctuary, Shwesettaw Wildlife Sanctuary and Popa Mountain Park are the best to view birds. In Na Ma Taung National Park, there are about 280 species of birds and White-browed Nuthatch can only be found in this region. Inle Wetland Bird Sanctuary is surrounded with mountains and is in a valley. Highlights in this wetland would be Ferruginous Pochard, Spot-billed Duck, Garganey, Pheasant-tailed Jacana, Black-winged Stilt, Black-tailed Crake, Sandpipers, Sooty-headed Bulbul and Jerdon's Bushchat. Other than those, more of 160 species are present. Shwesettaw Wildlife Sanctuary has over 40 species of Birds highlighting White-rumped Falcon, Collared Falconet, Hooded Treepie, Streak-throated Woodpecker, Asian Paradise Flycatcher, White-throated Babbler. Popa Mountain Park has over 160 species of Birds. Birding in Burma is interesting. It is the largest country in mainland Southeast Asia and it is the most diverse as well as the least explored. (Rakhine), lowland forest in the northern plains and the Alpine forest of the extreme north where snow capped mountains are seen above pristine tropical rain forest. Our tours are designed to let our clients explore as much as possible these diverse places looking for birds only seen by very few bird-watchers and ornithologist. In some of our tours you will be visiting famous cultural tourists destinations like Bagan and Inlay, see all endemic birds in a trip while looking for rarely seen Indochinese and Himalayan bird species. 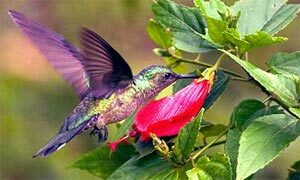 But some tours are also designed to let our clients see rare and endangered birds seen only by a few ornithologists during the last 70 years and explore the last frontier in Asia. With our tours you will get to see friendly and smiling Burmese people and have a hassle free holiday enjoying good food and sceneries.